Ok, not a single word about the event of Goliath. 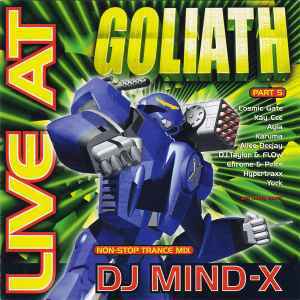 By now every single kid should know by heart that Goliath is one of Switzerlands biggest rave-events. Let’s talk just about the CD as it is very colourful. An angry-looking blue robot is adorning the front of this CD, surrounded by green rays of light. Just like the trancefloor of Goliath, were thousend of happy.... ok, not a single word!